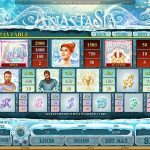 Let’s pay a tribute to the tragic story of the 17 year old Princess with The Lost Princess Anastasia video slot game from Microgaming. Try to solve the mystery and learn a thing or two about the Russian Imperial Royal family while having fun. The main focus is on 3 characters only, the Princess, her father and Rasputin. Until this day we do not know if Anastasia survived or not, but let’s hope it did and had an amazing life like she has in this game. The Lost Princess Anastasia has only 2 special symbols, crown scatter symbol and Anastasia wild symbol. The wild symbol substitutes for all the other symbols except the scatter to complete a winning line. The only down fall here is that the wild does not come with a multiplier. The scatter symbol is the key to the free spins round. You need to land at least 3 scatters to receive only 5 free spins. At first, this seems like not enough but then again we learn that a random number of symbols become wilds and you can land some lucrative wins. 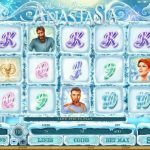 It is also possible to re-trigger the free spins as well. 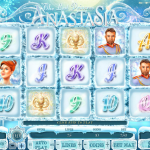 Microgaming has outdone itself when they have created The Lost Princess Anastasia. The game looks simply stunning, the beautiful designed graphics are just out of the ordinary. Each symbol is perfectly detailed and they paid attention to every aspect of the game. There is only one special feature and that is where we are a little disappointed but then again it is activated fairly easy and it can be quite lucrative at times. Very nice game that not only entertains us but it also gives as a history lesson. Another fun slots game you should consider playing is Tally Ho a 5 reel slot by MicroGaming.